Why Do We Cover A Patient In Shock? In this unedited video, I talk about and explain why we cover a patient who may be showing signs of shock after this question came in by ema il. Remember, it’s important to help the patient feel comfortable, cared for, and safe as best as possible. But physiologically speaking…keeping the patient warm helps prevent hypothermia “which shifts the oxyhemoglobin dissociation curve to the left, impairs oxygen delivery, and exacerbates the shock state.”(http://www.ebmedicine.net/topics.php?paction=showTopicSeg&topic_id=110&seg_id=2113) And in the end, the fact that the person feels well cared for can help them become less anxious and do better through the traumatic event. Hope this helps. What Do I Do If I Find Someone In Anemic Shock? In this Vlog, Roy replies to an emailed question regarding someone’s friend who apparently has anemic complications. Due to this, she goes into shock, most likely due to the lack of Red Blood Cells which are required to carry oxygenated blood to the body’s tissues. Roy wanted to make sure and reply to this before the weekend. Hope it helps. Anemia is characterized by a reduction in the number of circulating red blood cells (RBCs), the amount of hemoglobin, or the volume of packed red blood cells (hematocrit). Anemia is classified as acute or chronic. Acute anemia denotes a precipitous drop in the RBC population due to hemolysis or acute hemorrhage. In the emergency department (ED), acute hemorrhage is by far the most common etiology. This article also discusses other causes of acute anemia. 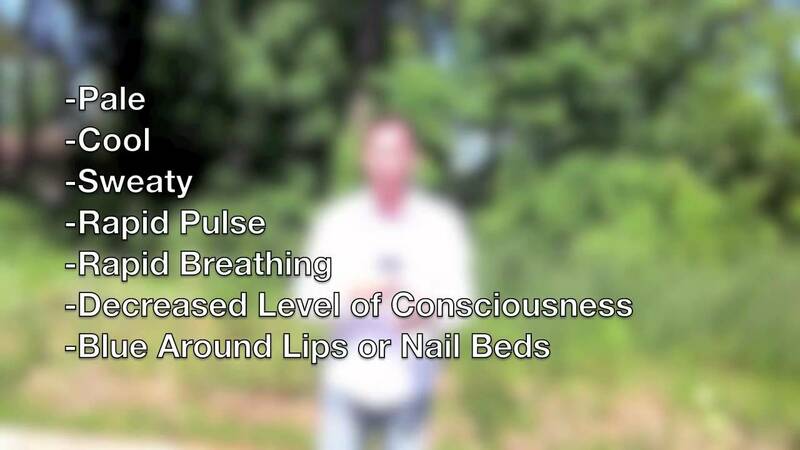 In this RoyOnRescue Video Blog, a student had emailed Roy a question about explaining the Capillary Refill Test and how it may relate to determining if someone is suffering from shock. Be sure to watch this episode of RoyOnRescue and learn a new trick that could either tell you if someone is going into shock, or that their hands are simply cold. This slow capillary refill time of more than 2 seconds should only be an indication that we should check for other problems. Please don’t assume simply because someone has a slow cap. refill that they are going into shock. It is simply a quick and easy test to help point a first aider in the right direction and to tell us we should check for other issues. What is Shock and How Do I Treat It? In this video blog, Roy Shaw, EMT-P answers a question by a student. The student wanted to know what shock is and how to treat it. Roy explains what shock really is and how you can treat it and possibly save one’s life.